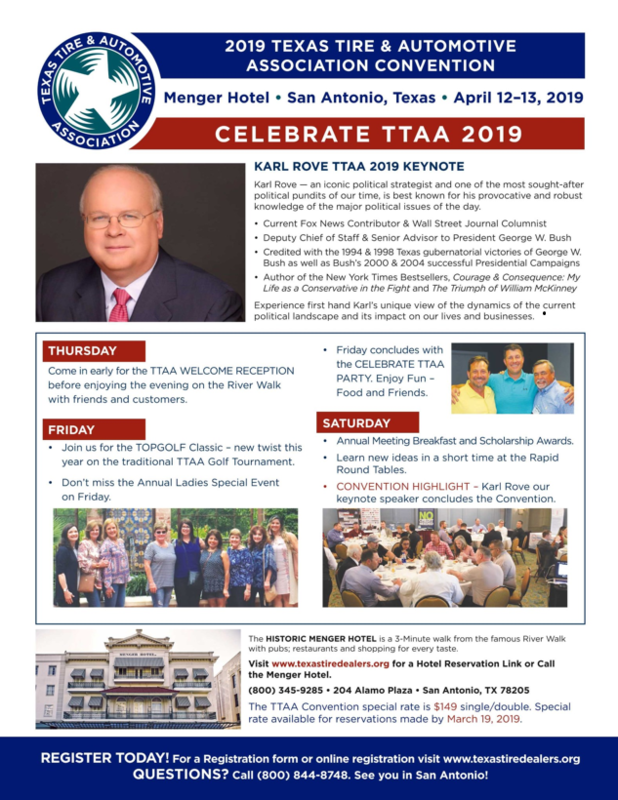 We have had several calls from the greater San Antonio area who want to attend on Saturday only to see Karl Rove. To accommodate our Saturday only requests we are offering a special deal! Enjoy the morning and be home by noon! This registration option is not available online. To take advantage of this special offer — just call the TTAA Headquarters to make your reservation — 1-800-844-8748. MISSED AN ISSUE OF TTAA TODAY? VISIT AND SEARCH THE ARCHIVE TODAY.